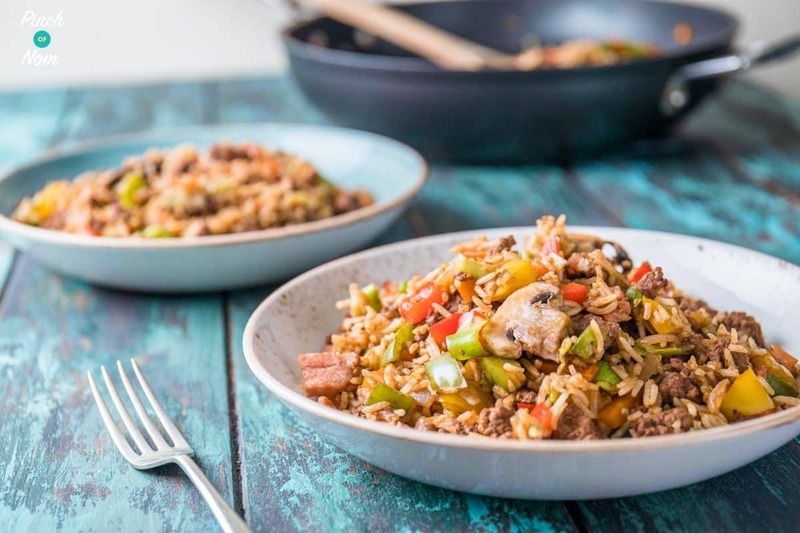 This Cajun Dirty Rice is our new and improved, Syn free, low Point and low calorie version of one of our most popular recipes this year! You could call this… “Filthy” Rice! Thousand of you have made our Dirty Rice, and we’re inundated with question about it each week. 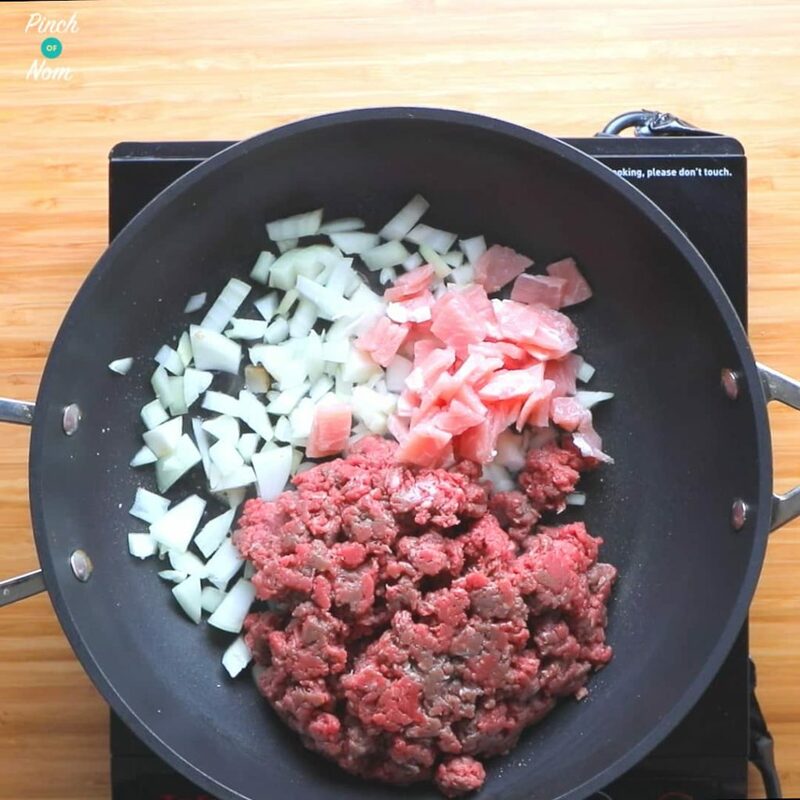 One of the most frequently asked questions, is “can I use Beef mince with it, rather than Pork?”. You can, but we think that the combination of flavours needed to be adjusted ever so slightly. So here we are, this is Cajun Dirty Rice, using Beef mince. You don’t need to use the ingredients that we say… you can use what ever speed foods you like. You could use baby corn, courgette, celery, broccoli or even cauliflower! How hot is this Cajun Dirty Rice? 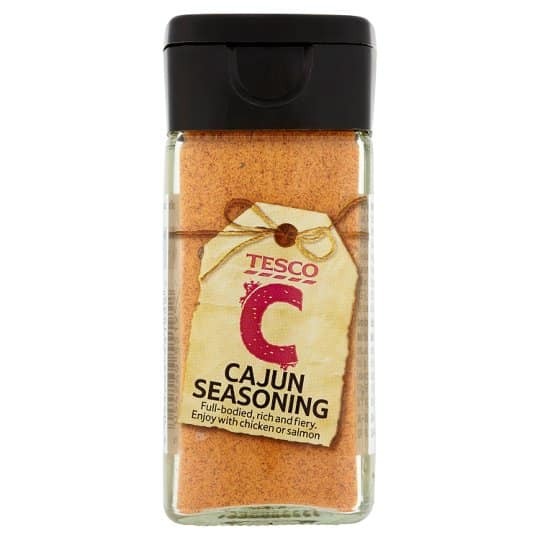 We’d say it’s pretty mild, but you should probably taste your Cajun seasoning though. We use the Tesco one, as it’s Syn free and pretty mild. If you’re using a Cajun spice mix that’s hot, then use less. But if you like it hotter then add more! 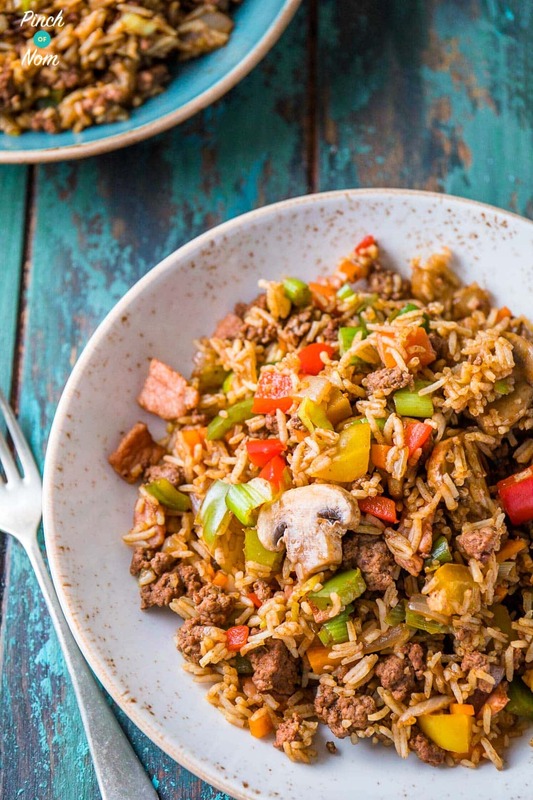 Like your Cajun Dirty Rice a little milder, or want to feed it to the little ones? Then cut down on the Cajun, and add it little by little. 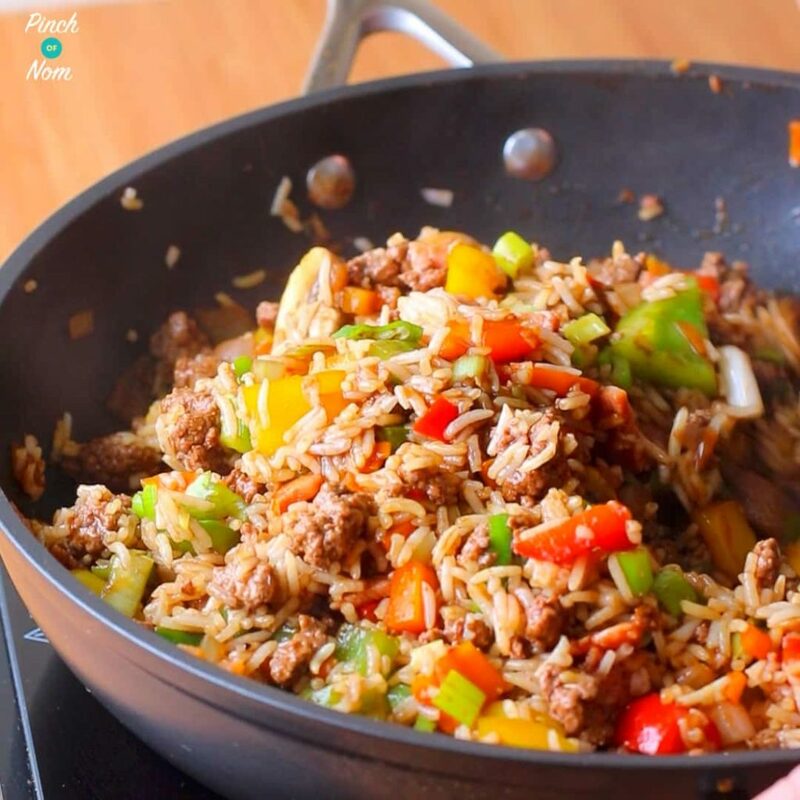 You could always cook the Cajun Dirty Rice, serve theirs up, then add a little more Cajun spice for you. 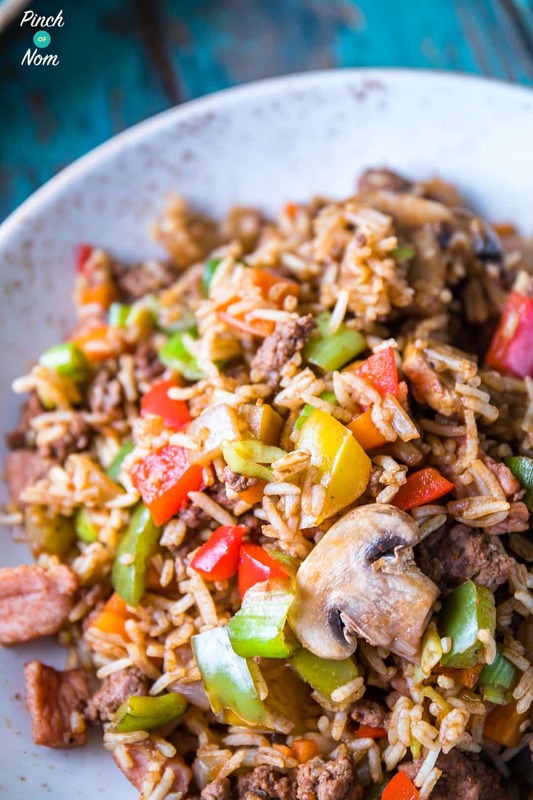 Want to see how easy this Cajun Dirty Rice is to make? Watch the video! Can I freeze and reheat this Cajun Dirty Rice? Freezing and reheating rice is often a concern for a lot of people, and it’s one of the things we get asked about quite frequently. As we all know you can get food poisoning from eating reheated rice, but, it’s not actually the reheating that can cause issues, it is, in fact, the way that the rice has been stored beforehand where the problem begins. Rice can contain spores that are resistant to heat and can survive the cooking process. If cooked rice is left standing at room temperature these spores can grow into bacteria. At this point, the bacteria can be destroyed by reheating the rice thoroughly. Cool the rice as quickly as possible (ideally within one hour) then fridge or freeze it immediately. You can split larger portions up into smaller batches to cool quicker. Freeze as soon as the rice is cold. Reheat and use any leftover rice (stored in the fridge) within one day. When you reheat any rice, always check it is steaming hot all the way through. Don’t reheat cooked rice more than once. For more information about reheating rice please take a look at the NHS website. 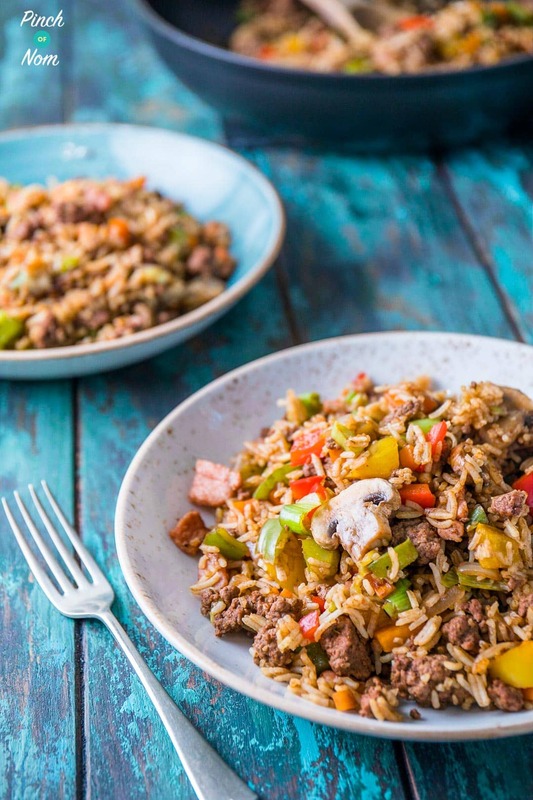 Some of you love this Cajun Dirty Rice recipe! 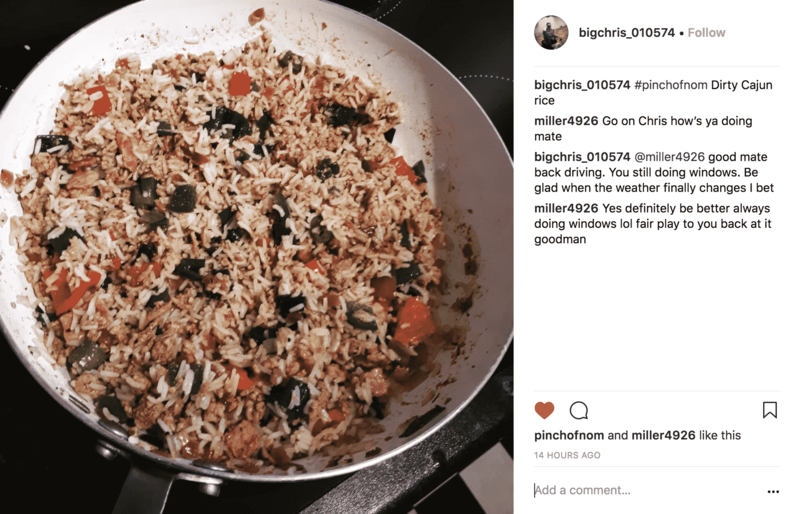 One of our Instagram followers @bigchris_010574 made this dish and loved it! 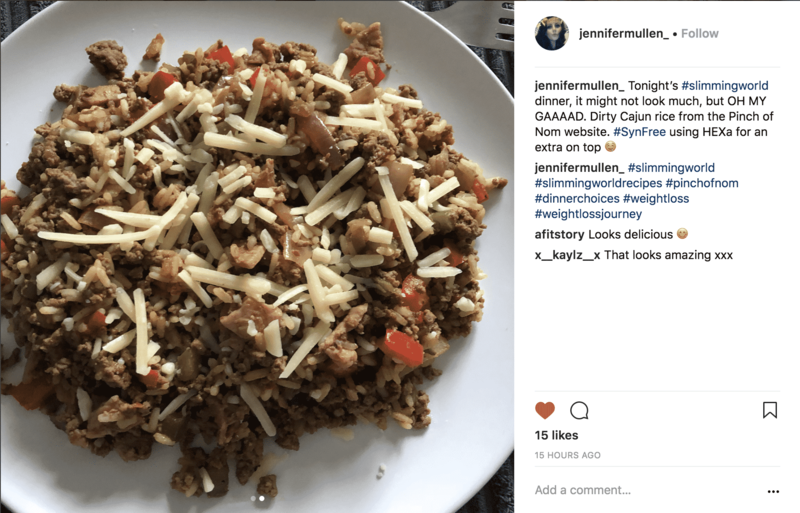 Another of our Instagram followers @jennifermullen_ made this dish and loved it too! How do I make this Cajun Dirty Rice? Cook the rice according to the packet instructions, adding a Bayleaf and chicken stock cube to the water before cooking. Set the rice aside once cooked. Add the stock pot to the boiling water and set aside. 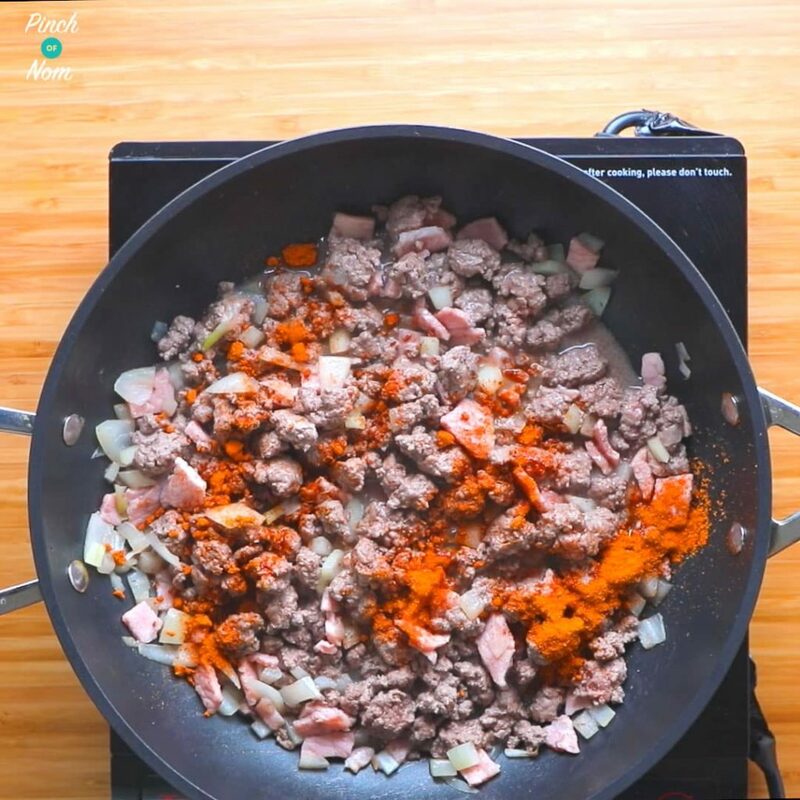 Spray a frying pan with Low Calorie Cooking Spray, then cook the mince, onions and bacon until brown. Add the cajun seasoning and Worcestershire sauce and stir. Add the carrots, mushrooms, peppers, stock. Cook until the peppers start to soften. Add the cooked rice and spring onion and stir until all the rice is coated. Taste and add some more Cajun seasoning if it’s not spicy enough. 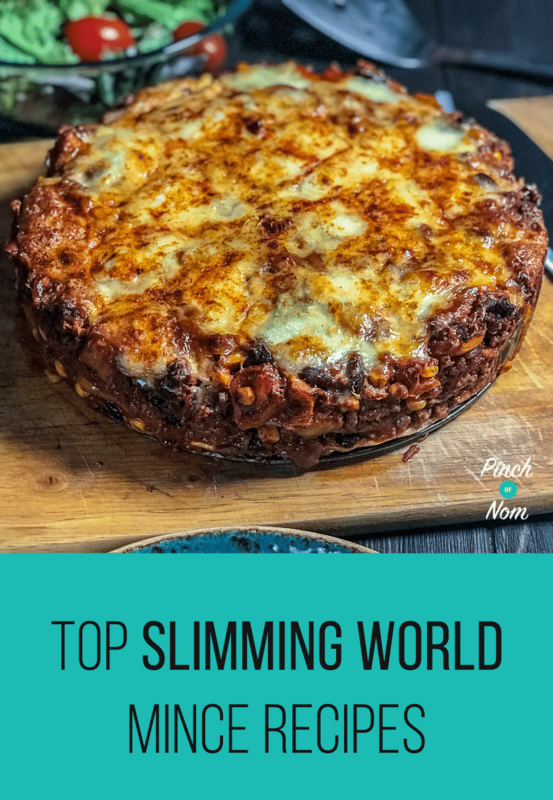 Looking for some more Slimming World friendly mince recipes? 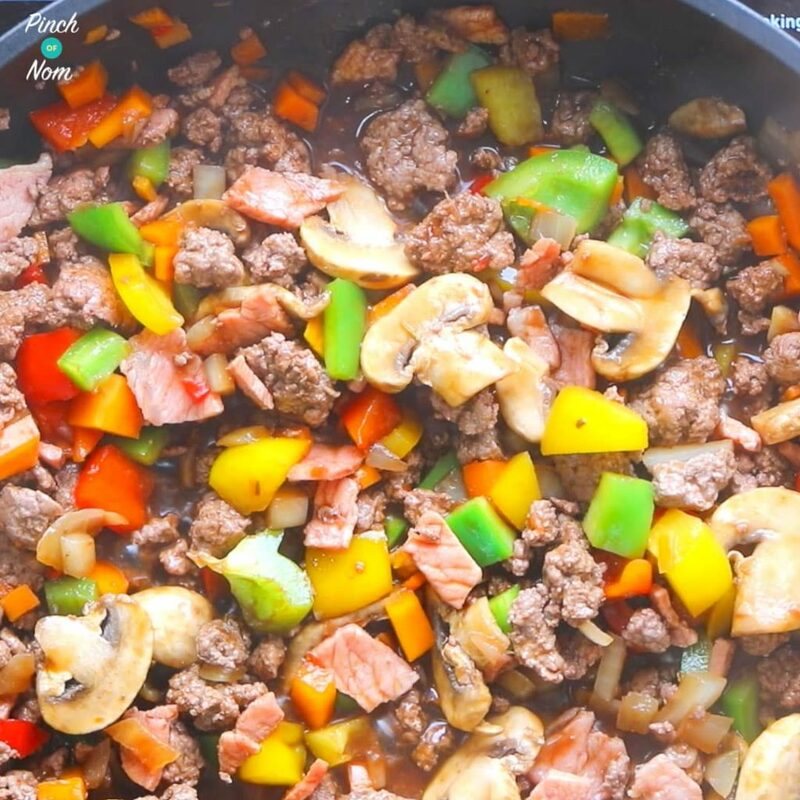 Why not take a look at our Top Slimming World Mince Recipes article? Sounds delish! Thanks for getting in touch! That looks amazing, thank you. I’m defo going to make that. Is this meant to have both chicken and beef stock in it or is that a mistake? By far one of the best tasting recipes ever, this includes non Slimming World ones! Thanks for getting in touch! 💕 So glad you enjoyed it! I would always exercise caution when freezing rice to be reheated and eaten – it’s probably best to make it fresh! If you check the steps on the recipe, you’ll see that you make up the stock with water at step 2, then add the stock you’ve made at step 5. Hope that helps. This is amazing. I gave it and extra kick with some more Cajun mix and I hadn’t the whole family scoffing it down, even the non SW members. Is the 200g rice, dry weight or cooked weight? Made this last night. Absolutely gorgeous. Thanks for the recipe. It’s one of our favourites, too. So pleased you enjoyed it! I made this today safe to say there’s none left it was sooooo yummy even my partner liked it! Just made this and absolutely loved it!! Even my partner, who avoids eating any kind of vegetable, enjoyed it, so big hit in our house!!! Can’t wait to try more of your recipes. Keep up the good work!!!! Instead of a beef stock pot. Could I use a beef stock cube, say 1 to 200 ml water? Dies thatsound OK? Are we talking conversion to U.S. measurements? I think the easiest way would be to look up a conversion table online, from UK metric to U.S. Hope that helps. We don’t eat beef religious reasons. So does it work with ground chicken? One of our favourite go to recipes. Making it for our tea tonight. It’s also perfect to make when you don’t have loads of times especially after work when everyone is tired and wants a quick meal. I just love all your recipes. Everything comes out perfect all the time. Could do with a pinch of nom cookbook in my house. Made this for the first time today. Absolutely amazing. Many thanks for the recipe. So glad you enjoyed it! It’s a big favourite in our house too! Second time of making. Lovely dish. Only made half recipe last time. This time the full recipe. Had to transfer it to wok. Their is so much. Just made this and it’s absolutely delicious! Hi can this be made with quorn mince ? Yes! Lots of our members have used Quorn mince and told us it works well! If using Worcestershire sauce, please be aware that it is not gluten free, it contains malt vinegar (from barley), but you can purchase a gluten free one. Perhaps this could be mentioned in the recipe? Wow! Pure wonderment – all the family loved it. So glad you enjoyed it, Charlene! Made this last night. Absolutely gorgeous. Didn’t change a thing. All enjoyed it. Definite keeper recipe. So glad you enjoyed it, Claire! How would you cook this in the actifry? There are a lot of ingredients to fit in, they fill a wok when I cook this recipe! You would basically follow the same instructions, adding the ingredients in the same order. Hi could I freeze, defrost and eat cold for lunch? Absolutely delish! Added extra speed foods and a dash of paprika, I’m a total convert to pinch of Nom recipes! Each and very one I’ve made so far have been incredibly tasty. Thanks for getting in touch, so glad you’re enjoying the recipes! So glad you enjoyed it, Ann. Thanks for getting in touch! Just made this for the Mrs for tonight. It tastes amazing but maybe add in some Low Syn pittas/Wraps etc. Hi there, looking forward to trying this however my partner can’t eat rice and a bit worried about freezing this. Would I be able to make a Double portion, fridge and reheat the next day? The recipe makes plenty, in fact you may need to reduce the number of servings if it’s just for you! Change the number of servings on the recipe card and the amounts will automatically change for each ingredient. Hi guys! Came to this page following a suggestion that you could make it in an actifry. Can you explain how you would do that please. Thanks so much! Add the carrots, mushrooms, peppers, stock. Cook until the peppers start to soften. Glad you enjoyed it, anyway! It’s a favourite in our house. 1Cook the rice according to the packet instructions, adding a Bayleaf and chicken stock cube to the water before cooking. Set the rice aside once cooked. So what do we do with this 200ml and stock cube if we don’t cook the rice in it. i have a senior moment !! If you scroll down to the recipe card, we give instructions on how to reheat. You should defrost overnight in the fridge, then you can reheat. I use the microwave to reheat mine. Just make sure it’s piping hot throughout. Thanks for getting in touch!